born January 12, 1993 is a member of One Direction along with Harry Styles, Liam Payne, Louis Tomlinson, and Niall Horan. Zayn was born in West Lane, Baildon, Bradford, England. He is of English and Pakistani descent. He was born to British-Pakistani father Yaser Malik and English mother Patricia. 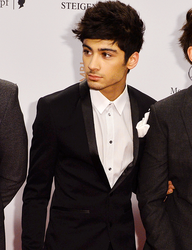 He has one older sister, Doniya, and two younger sisters, Waliyha and Safaa. 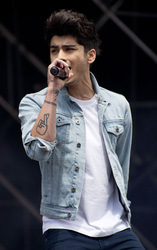 He and his family are Muslim Zayn grew up in East Bowling, located south of the Bradford city centre. He was a student at Lower Fields Primary School in East Bowling and went to Tong High School, a state comprehensive school. In 2010, when he was 17 years old, Zayn auditioned in Manchester for the seventh series of The X Factor.He sang "Let Me Love You" by Mario. All three judges — Simon, Louis, and Nicole — gave him a 'yes'. His audition was initially not broadcast, but was later shown on The Xtra Factor. 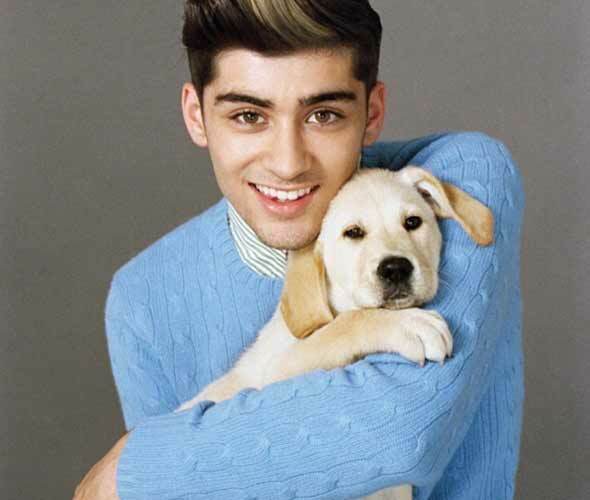 Zayn was noted for becoming nervous in bootcamp. When he was told he had to dance, he decided to remain backstage, effectively running the risk of elimination. 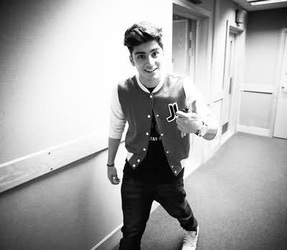 When Simon noticed Zayn missing from the dance routine, he went backstage to convince him to return. 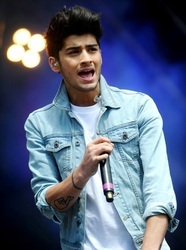 Later on, Zayn said it was a lack of confidence that caused him to run away. Following The X Factor, One Direction signed a record contract with Sony Music subsidiary Syco Music. They released their studio album, Up All Night. On February 29, 2012, Zayn left One Direction's tour to return to the UK and be with his family due to the death of a family member. Zayn smokes cigarettes. In late 2011, he announced that his New Year's resolution was to quit smoking. However, he was photographed throughout 2012 still smoking. Zayn's parents are still together. He has three sister. He has a dog named Boris. 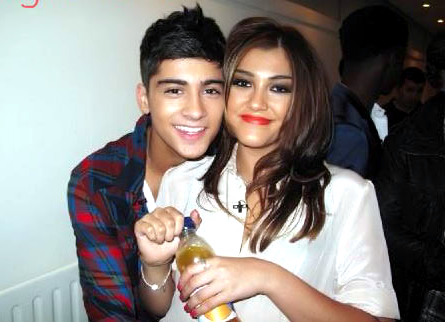 Zayn dated fellow The X Fa​ctor contestant Geneva Lane briefly in 2010. At the time, he was 17 and she was 20. They grew close during their time on the show. However, due to Simon Cowell's strict ban against the contestants dating, they denied there was a relationship. At the season seven finale, they finally revealed themselves as a couple when cameras captured them kissing. Zayn later confirmed on Twitter that they were together. After the break up, Geneva said, "Zayn's a heartbreaker. When I found out he was seeing Rebecca I felt numb." In a November 2011 interview she said that she and Zayn remained friends, but didn't talk much because of his busy schedule. In 2011, Zayn began dating The X Factor's season seven runner-up, Rebecca Ferguson when he was 18, and she was 24. Their relationship drew media attention because of the six year age difference. They met while they were on The X Factor, but Rebecca stated that "It took a while before we looked at each other in a different light. There was no one particular moment, it just evolved over time." 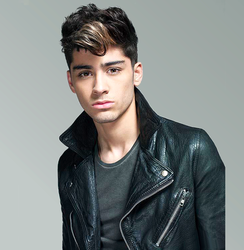 Zayn was the one who pursued Rebecca. The relationship ended after four months in July 2011 with Rebecca stating at the time, "Me and Zayn just grew apart. I wish him all the best." However, in an interview in October 2012, Zayn opened up about the relationship by saying, "It shouldn't have happened. It was just a wrong idea from the start. It did end quite badly, so we don't talk any more. We're not in touch at all." Since then, Rebecca has alluded various times that Zayn was unfaithful. Zayn is currently dating Perrie Edwards from The X Factor's season eight winner, Little Mix. They met when One Direction performed on the eighth season of The X Factor. They were rumored to be dating, but both denied being in a relationship. In May 2012 the rumors appeared to be true when paparazzi snapped pictures of them kissing and riding a scooter. 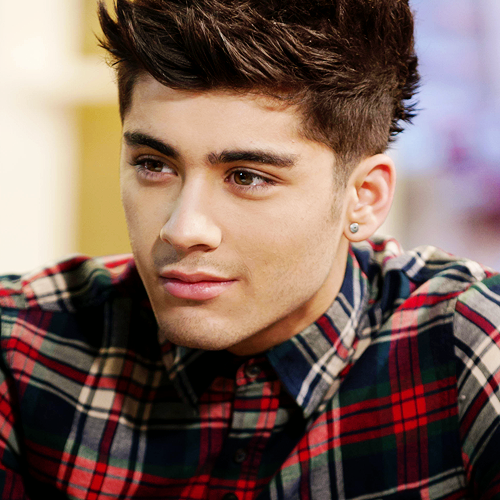 In an interview for Today that aired on May 30, 2012, Zayn confirmed having a girlfriend.